AdmitGold is a full-featured CRM for any education institution. Colleges, Universities, High Schools, Law Schools, Medical Schools, and more all benefit from AdmitGold CRM. Since 1996, AdmitGold has been helping institutions nurture students through the entire enrollment funnel, customize and automate communication, and dramatically increase conversion and yield rates. 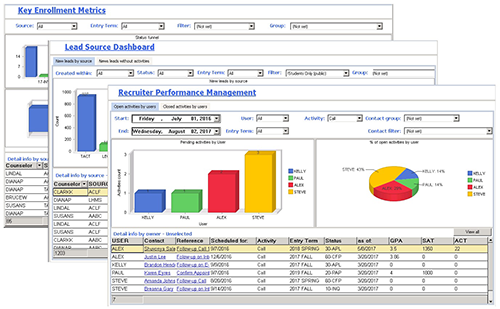 Admissions-Specific Dashboards for Recruiter Performance, Leads Analysis, Enrollment Metrics and more. Focus your efforts and recruit the "right" students. AdmitGold Mobile Access provides device independent access to your live student database. 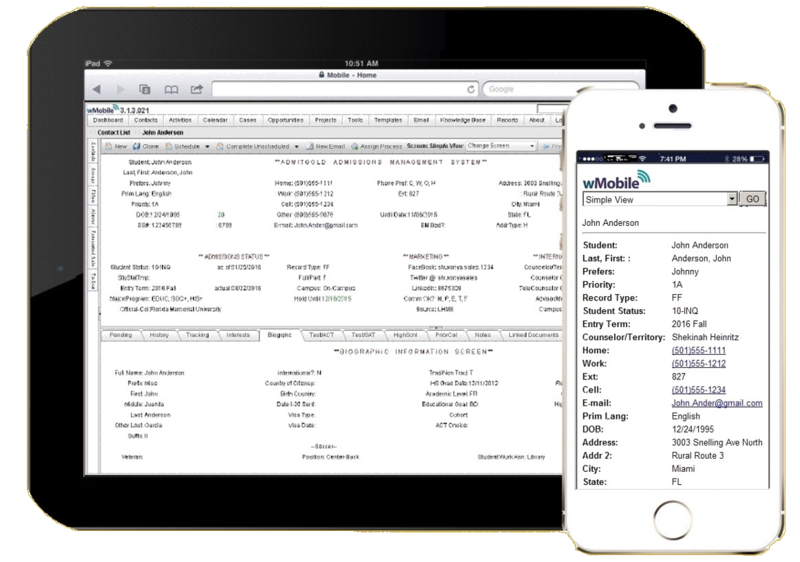 Create, Edit, & View your data from any smartphone, tablet, PC, or Mac. Communicate with prospective students using the method they prefer. 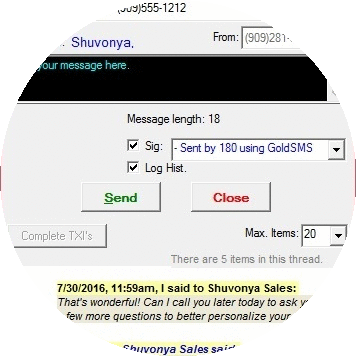 Send & receive 1-to-1 SMS text messages, send broadcast messages, include text messages as part of your automated communication flows. Put reporting where it belongs, back in the hands of your recruiters. 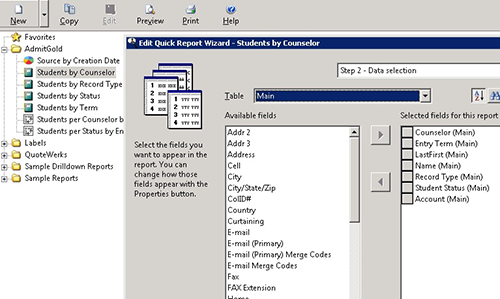 Choose from our growing list of admissions specific reports or create your own using a multi-step wizard-driven reporting tool. Sort, Filter, Group, Drill-down, and more. Research and engage your students using Social Media. 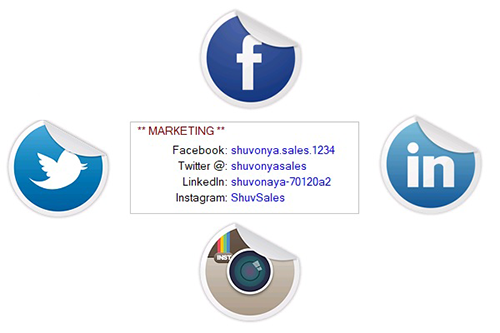 Access your prospective students Facebook, LinkedIn, Twitter, or Instagram pages at the touch of a button. The most affordable Admissions Recruiting CRM in its class. We invite you to compare our pricing to any other comparable product. Your Admissions Staff can be up and running, fully trained, using your production data, in approximately 60 days. Automate your entire Admissions process and communication flow. Schedule Activities, Send E-Mails, Print Letters, and more. Prefer to keep your data on your own network, or would you prefer a fully managed cloud install? Your choice, same install price. You can use our full-featured E-Mail client or integrate with MS Outlook. If you prefer using Gmail, ask us about your G Suite integration. We would love to learn about your specific need and to show you the industry's most affordable, feature rich, Admissions Recruiting solution. Let one of our experts us show you how AdmitGold can empower your Recruiters to focus on building extraordinary relationships! Request your free, live , personalized demo today. "It has been a pleasure to work with the team at 180 Degree Solutions. AdmitGold has been a serious upgrade to our previous GoldMine experience. We are blessed to have Steve Henderson, and Albert Diaz looking after our interests. They know their stuff and I trust them and their team. I would highly recommend the AdmitGold product." "By using AdmitGold we were able to track students better, communicate with students more efficiently, follow up with prospects quickly, and keep our team accountable to how many students they are to be in process with. Since installing and incorporating AdmitGold as our database for recruiting, our new students numbers have gone from 72 in Fall of 2013 to 124 in the Fall of 2015. We are looking forward to Fall 2016, as we are on track for 150 new students to our campus. That means we have doubled the number of our incoming new students in just 3 years. A 100% increase. Thank you AdmitGold for the part you played to help make this happen." "We have been using AdmitGold for almost 20 years at Mississippi College. This software has allowed our counselors to interact with our prospective students at an optimal level in terms of communication and best practices. This personalization has led to greater yield and many enrollment records in our undergraduate and graduate numbers. Presently, we have the most new students as well as returning students in both undergraduate and graduate, the most residential students, the largest FTE and the highest ACT average for freshmen than at any time in our institution's history. 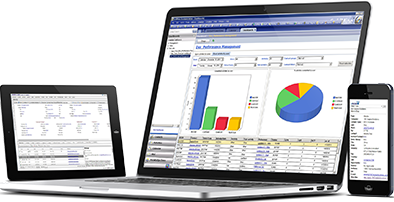 Much of these results can be attributed to AdmitGold and our ability to navigate this user friendly CRM software." 180° Solutions, was founded in 1995 as a Microsoft Training & Consulting Center. GoldMine Training was added in 1998 and subsequently, GoldMine Service and Support. Other CRMs were added and their reputation as a premier Certified CRM Technical Support Center and Project Management Training Center grew. Though primarily servicing the Southern California and Las Vegas Metropolitan areas, that reputation attracted businesses from all over the country.